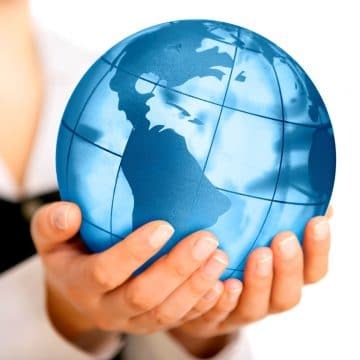 Our Brands represent a wide range of product categories across its portfolio, offering authentic quality and value to consumers around the globe. George Foster Clark, then just 25 years old, begins experimenting in his mother’s kitchen. He wanted to discover better ways to make baking aids, cake flour and even lemonade powder. With an initial share capital of £27.50, George starts Foster Clark & Co together with his two brothers, William and Henry. The company purchases part of the former Chambers Jam Factory on Hart Street. With a capital of £54,300, Foster Clark is registered as a private company – the size of the premises is increased, as was the range of its products. Foster Clark is registered as a public company on the London Stock Exchange, with a capital of £500,000. Company shares are given to all employees who have been in service for over 10 years. The company becomes one of the first in Great Britain to add the canning of fruit and vegetables to its product range. Financial hardship hits the firm when demand shifts towards fast and frozen foods. Foster Clark merged with St Martin Group of companies. The company faces another setback when one of its largest warehouses is destroyed by fire. Sales continue to fall after the fire and the company is put up for sale to keep it afloat. 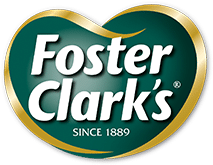 Foster Clark is sold to OXO Ltd, who continue the trade of Foster Clark within its own organisation. Paul Busuttil, a distributor for Foster Clark in Malta, encourages owners OXO/Brooke to set up a join venture manufacturing in Malta. Frank Busuttil succeeds his father and contributes to the growth of the business, both in Malta and overseas. Unilever acquires Brooke Bond and its share in Foster Clark. Charles Busuttil succeeds his brother and leads the company to the next stage of its development. A major investment programme sees the opening of new office premises, as well as the introduction of a ‘wet goods’ production plant. The start of a new era is marked by the inauguration of a new factory and offices. The Busuttil family acquires all the shares in Foster Clark Products. The company continues to invest in new state-of-the-art production facilities, and expands its geography footprint. Saw the taking over of B&S Manufacturing & B&S Exports operations and trading. A 50th anniversary milestone adds great value to the trustworthiness and reliability of a company. For the past 50 years, the company has established itself as a market leader in the food and beverage industry. As it turns 50, the company looks ahead to continued growth which, for the past years, has been achieved through leadership, innovation, strategic investment and by becoming a global brand of choice. At Foster Clark Products, we’re grateful for the continued trust people place in our company and products, which makes us all the more aware of our responsibilities to society, and all the more determined to support the community and the environment in a meaningful way. Whether you’re just starting out your career, or you have expertise in a particular area, a world of opportunity awaits you at Foster Clark. A job at Foster Clark is a career made by you, with development opportunities to shape your own path as you work with a forward looking company, dedicated to developing our products as well as our people.